When most people view the Best Celebrity Smile List and see Vanessa Hudgens with her delightful demeanor, they think white, straight teeth. A bright-white healthy smile is a confident smile. Cosmetically the white smile is important in our society. There is a good reason for that, a bright smile is a sign of good oral health. According to WebMD.com, tooth enamel changes as we get older. Our teeth get fine lines and cracks as we age and what we eat can get into the crevices and stain our smile. Research from Melbourne University’s Oral Health Cooperative Research Centre states that sugary drinks and sweets are harmful to teeth because of their chemical composition. Sugar can destroy teeth when its fermented by bacteria that produces acid that leads to decay. Snacking throughout the day makes it difficult for our mouth to be rid of food debris. When food debris builds on the teeth and in the mouth, plaque spreads. Plaque isn’t the only thing that we need to worry about when it comes too discoloration of our teeth. Simple everyday drinks like coffee, tea and wine can stain our teeth. Coffee, tea and wine have pigments that attach to the enamel of the tooth. Tea causes more discoloration than coffee. Red wine may be great for your health, but not so much for your teeth. Red wine is acidic and its color can stain your teeth. As we age, discoloration of our teeth increases. The enamel on our teeth thins with age and it reveals the softer inner layer beneath called Dentin. Dentin naturally yellows as we age. The added discoloration from what we eat and drink only compounds the issue. So what can you do to keep your teeth whiter as you age? Brush your teeth right after you have any food that may discolor your teeth. If you can’t brush your teeth, at least rinse your mouth with water after drinking coffee, tea or wine. Use a straw so that the discoloring liquids bypass your teeth. Some tooth discoloration can be removed with regular dental cleanings. Schedule regular teeth cleaning appointments with your dentist. 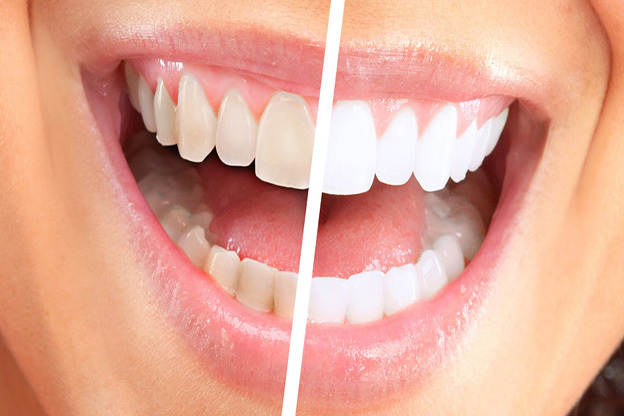 If you’re infectious smile is no longer white, contact Periodontal Specialists of Montana today!